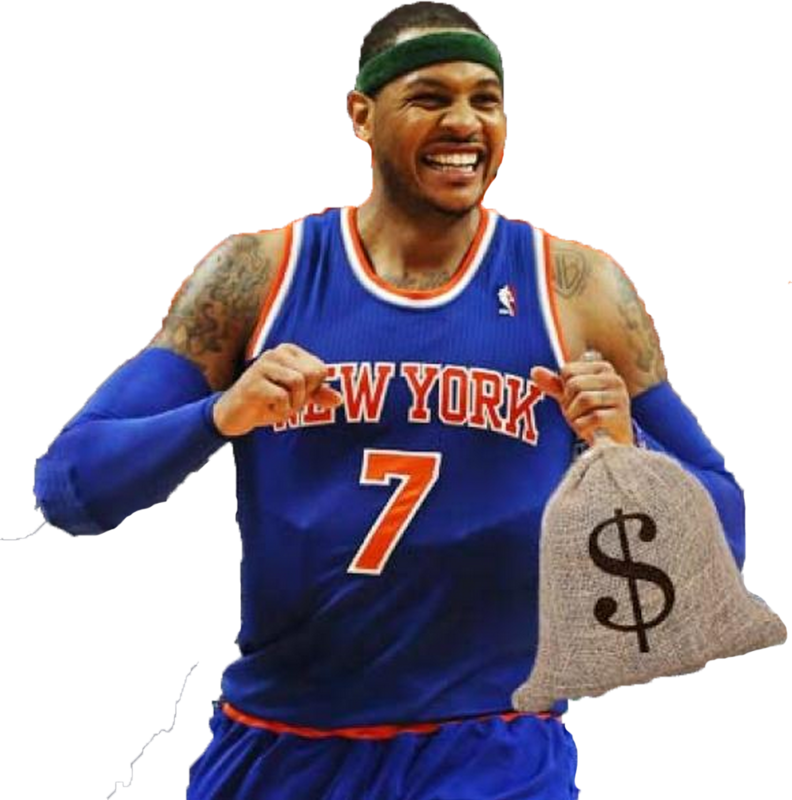 The Knicks will be dropping dimes next season! Yes, PJ has built a win-now team on the defensive end: Joakim “The Animal” Noah and Krist-snaps Purezingis, a formidable dominating front court, Lance Tom and CLee the ultimate 3/D, all surrounding superstar shooter/scorer Carmelo Anthony. On the offensive end, the Knicks have a very smart squad who know how to pass, a perfect situation for an offense predicated on finding the open man, the bloody f*cking triangle. Bro, can you spare a dime? Coach Horny Jeff will be pushing this offense to run plays faster, PGs who can get into the paint and find the open man, kick out for a 3 to the dome to Melo, PureZ and the men of 3 and D. dimez. Joakim Noah able to find the cutting man, run the pick ‘n roll with brilliant PGs, and kick out to the shooters. brill! dime on! Melo double-teamed? watch the ball move, hit the open man. diamond. Having 4 players who are renowned for assists their entire career is a positive that can be contagious on a team hand-picked by Phil ‘n The Mills. A smart team-oriented squadron full of talented players who strive to win. 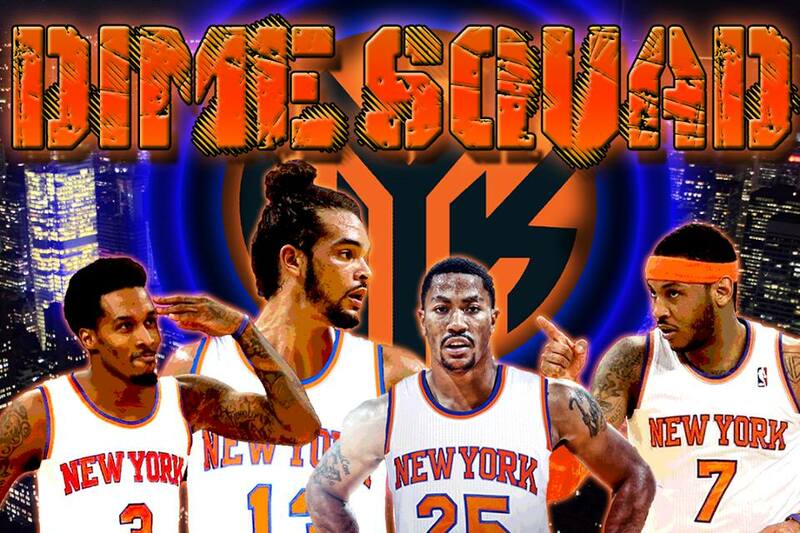 THE DIME SQUAD, your NY Knicks 2016-17. This entry was posted in Knicks on Crack, Phil Jackson Great BBall Minds. Bookmark the permalink.